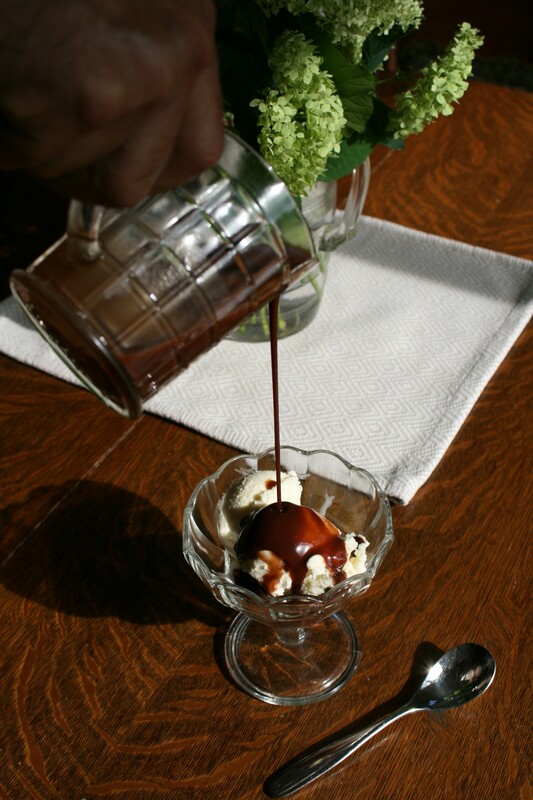 Because it’s August, and it’s summer, and it’s hot outside, we need this Chocolate Sauce to use on all of the ice cream and frozen treats we’re going to be making for the rest of this month. 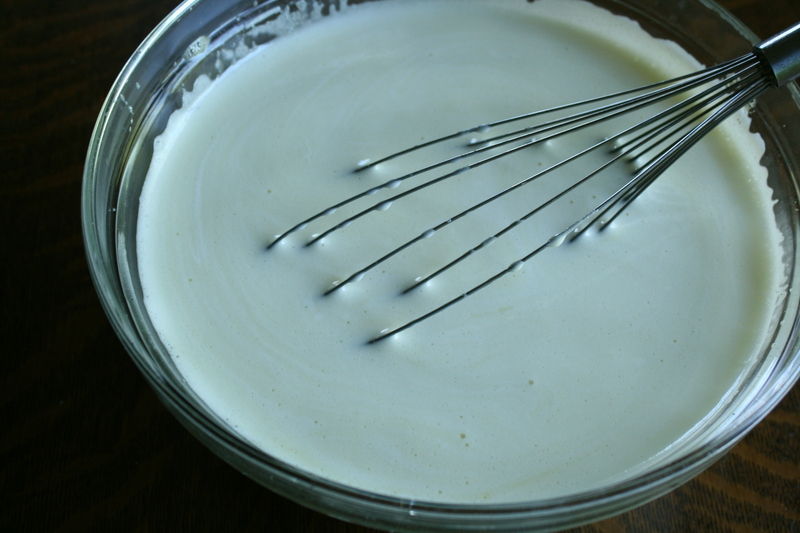 My favorite way to use this sauce is to pour it over Homemade Ice Cream, but you could also use it on Angel Food Cake or Clara’s “Goofy” Pound Cake. It’s great on any dessert, and you’re going to want to keep this in your refrigerator for pouring on anything. A helpful hint – do NOT keep spoons anywhere near this sauce. Just a suggestion. Not like I have any real reason to suggest this. Sort of. 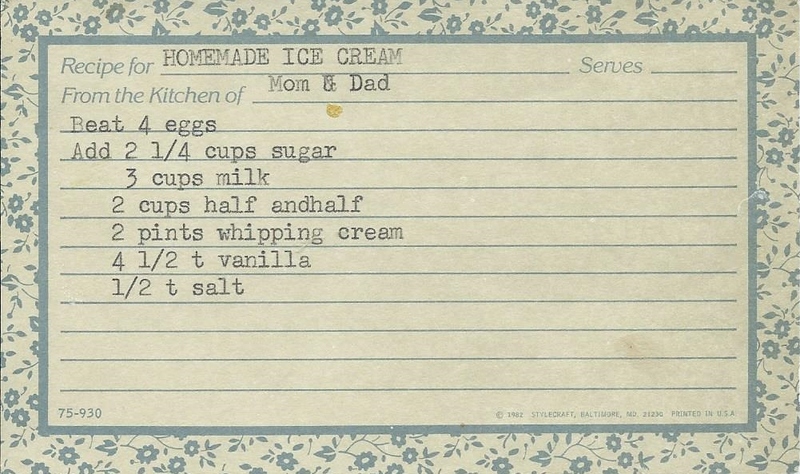 This recipe came from one of Grandma’s old church cookbooks, and it looks like my mom first made it in August of 1974! Wow – this is good! Real good! 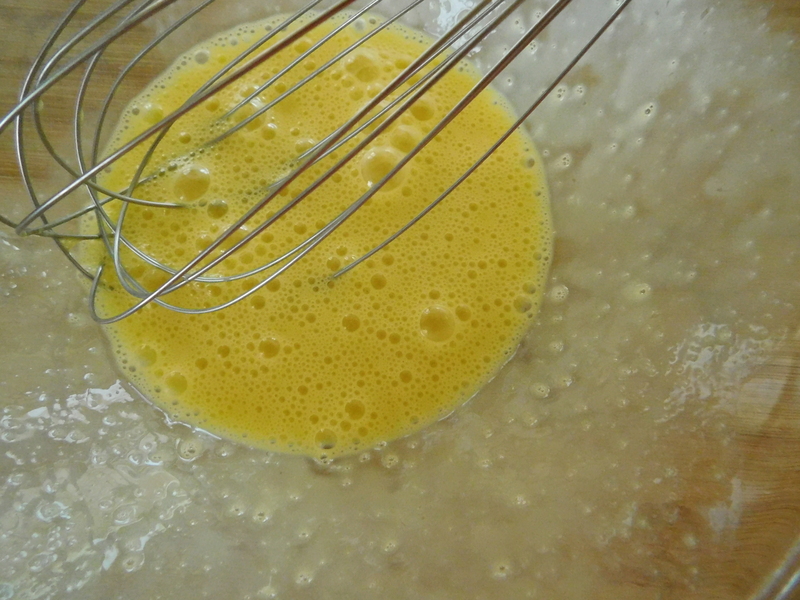 Boil over low heat until mixture thickens, stirring constantly. The recipe says that more water can be added for a thinner sauce. Again – the ingredients for this sauce are so simple. Everyone will have these on hand, which makes it very handy and easy to make. Next comes the water and the boiling part. Just add the butter and vanilla and you’re done! You can let this cool if you want to, but it’s sure delightful to have this when it’s warm. Warm sauce makes the ice cream all melty and stuff. I think you’re going to want to make this regularly. Maybe even every weekend. Stay cool this August and try it on ice cream, on dessert, or even just on a spoon. 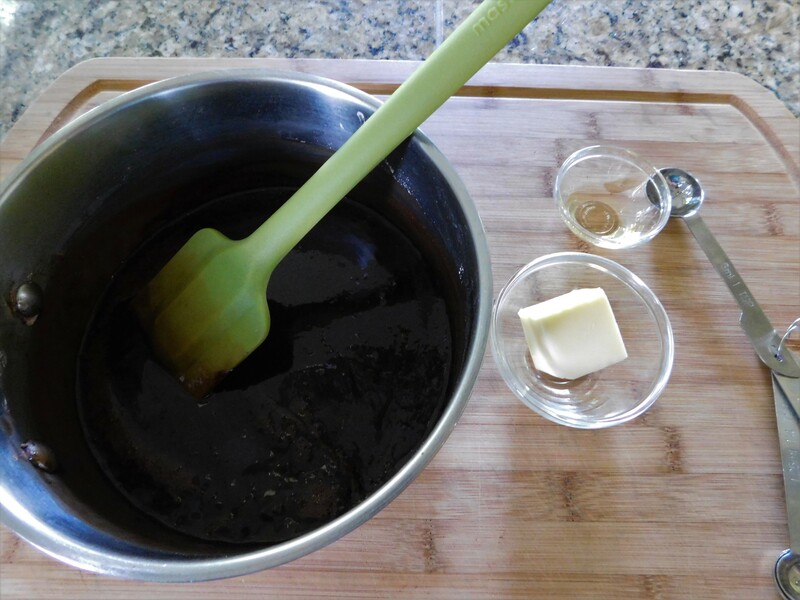 This Chocolate Sauce is ridiculously inexpensive, is ridiculously simple to make, and is ridiculously delicious. My family has spent years working our way through the “Ben and Jerry’s Homemade Ice Cream & Dessert Book”. Seriously, the copyright on this particular book is 1987, and we have certainly been taking our time. Last weekend, after driving 21 hours straight through from Massachusetts to get home to Minnesota from vacation, we tackled the Heath Bar Crunch Ice Cream. We were totally exhausted from that drive, but that’s how easy these recipes are. 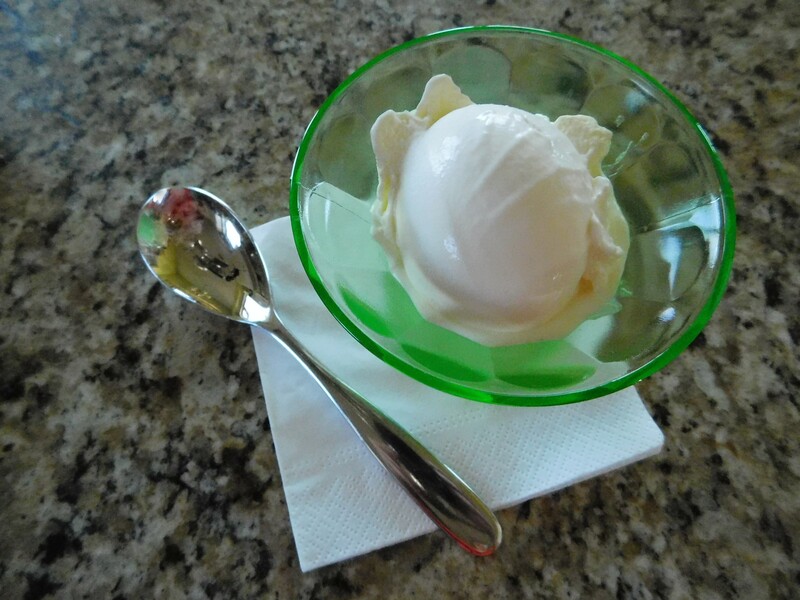 My husband magnanimously offered to go to the store to pick up things for a no-cook dinner, and ice cream was just what we needed to end the vacation on a high note – he also got the ingredients to make this ice cream. Looking through the book, it wasn’t hard to pick which kind to make (even though I was surprised we haven’t made this recipe before now – we date them when we make them). 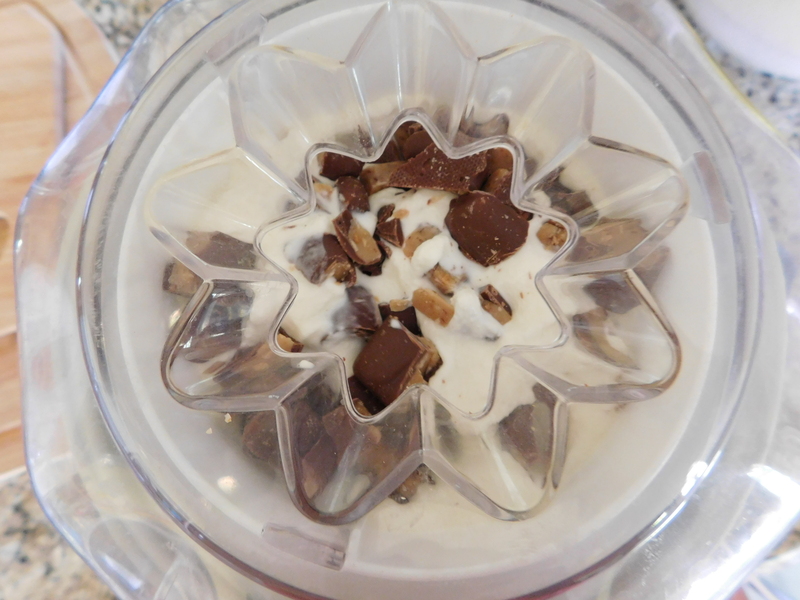 We ALL love Heath English Toffee Bars, so Heath Bar Crunch it was! I thought I’d better share this recipe now – it’s supposed to be in the upper 80’s and 90’s for temperatures through the weekend and into next week here in Minnesota. Summer is coming on strong here in June! We’re all gonna need some ice cream. Lots of ice cream. 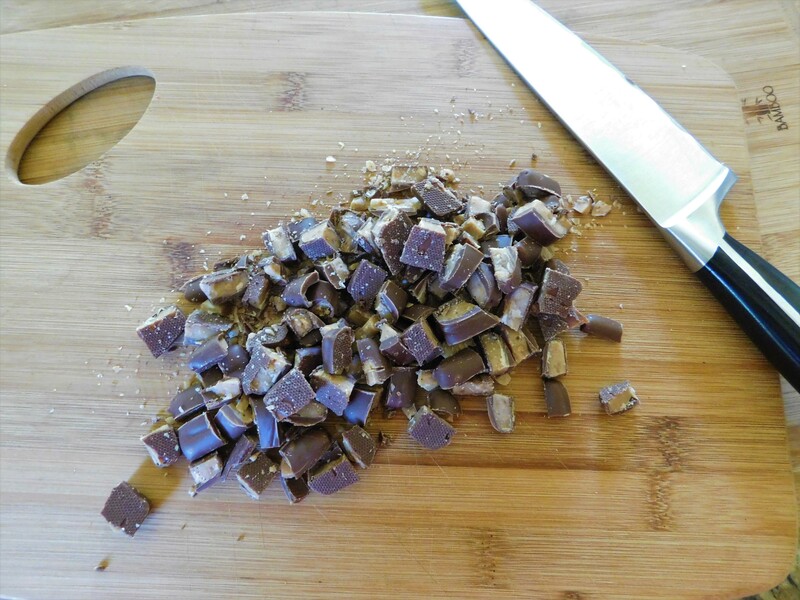 Cut the candy bars into 1/2 to 1 inch chunks (about 1 cup). Put into a bowl and freeze (I didn’t do this). 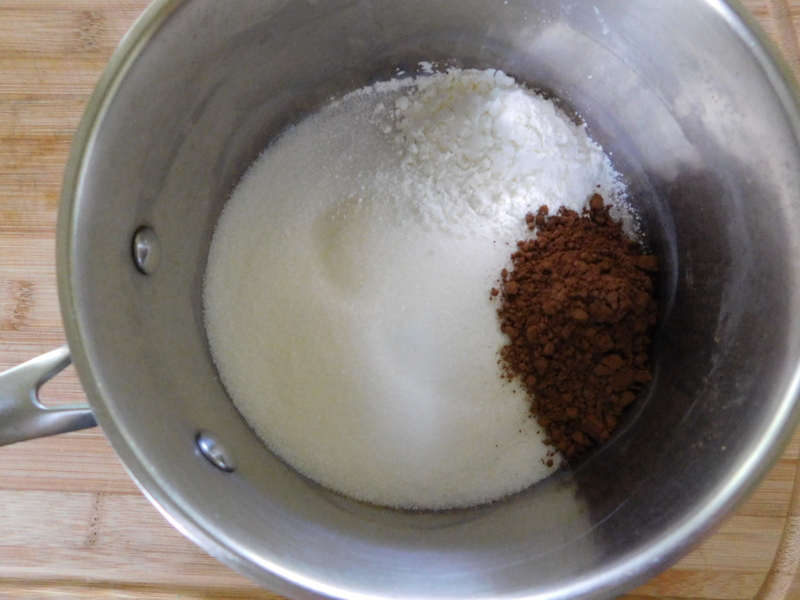 Whisk in the sugar a little at a time, then continue whisking until completely blended, about 1 minute more. 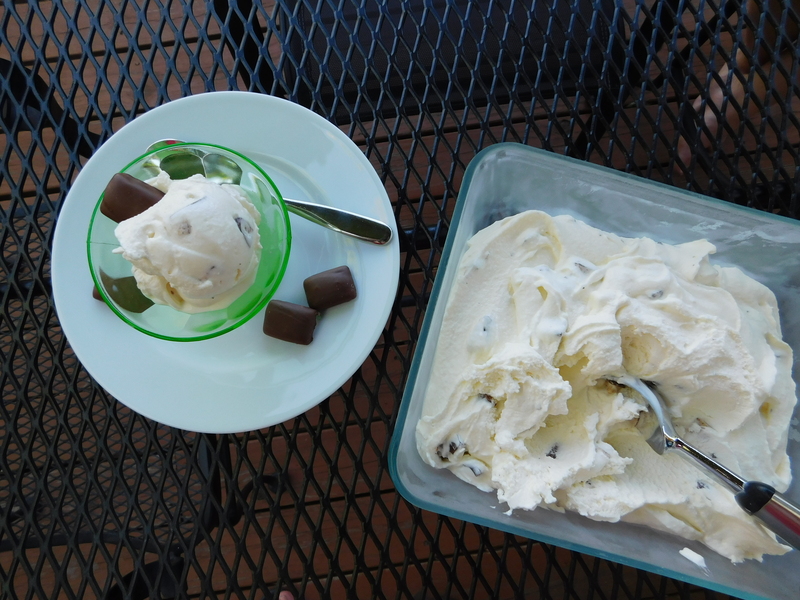 After the ice cream stiffens (about 2 minutes before it’s done), add the candy, then continue freezing until the ice cream is ready. Makes a generous 1 quart. 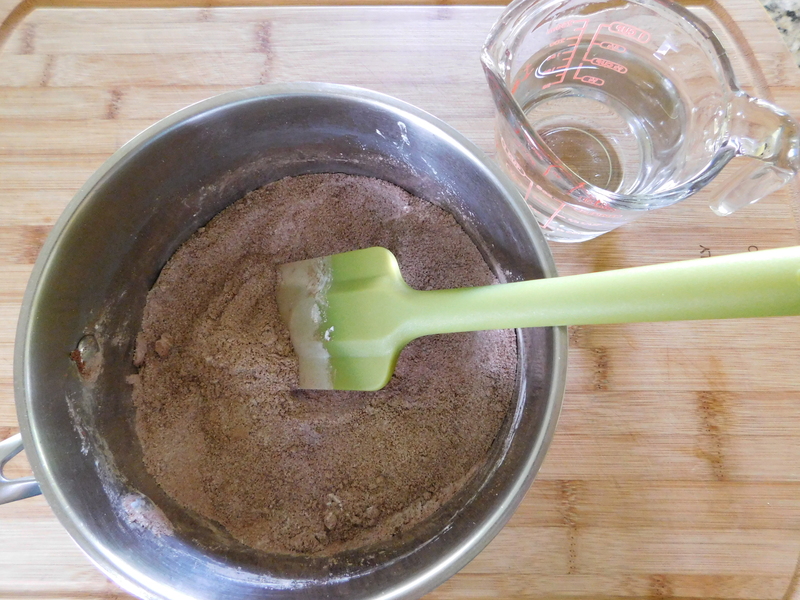 Chop the candy bars as finely as you want. We like the chunks on the bigger side. 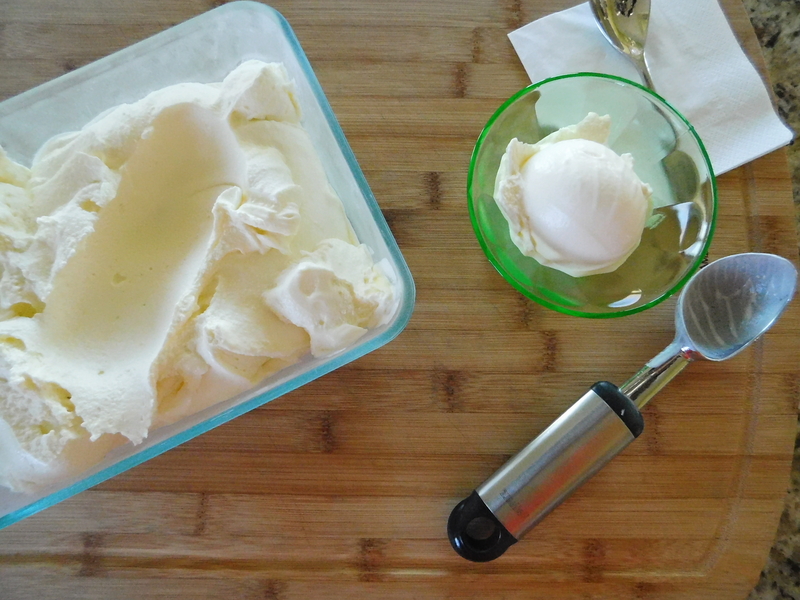 Put the ice cream mixture into your ice cream maker. 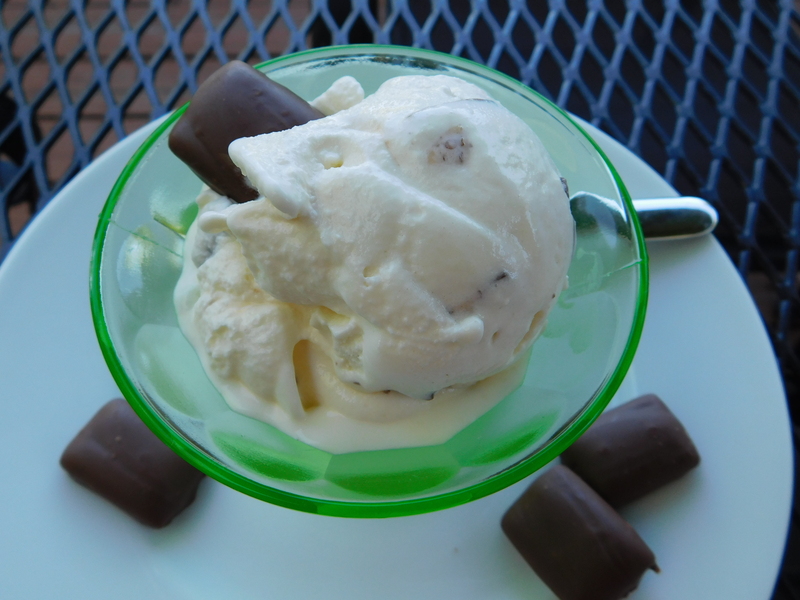 When the ice cream is almost done, add the candy bar chunks. 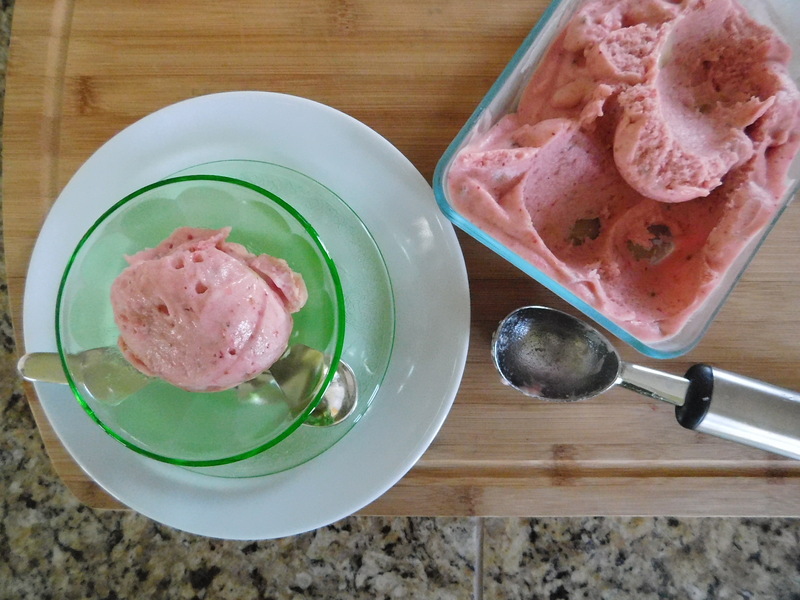 I use a Cuisinart brand ice cream maker with freezable containers. When I was growing up, we had an electric ice cream maker that used an inner container to hold the ice cream mixture and then you’d out that inside a larger one and put ice and salt around the inner container. Turn on the motor and away you go. My mother-in-law still has one that was even older than that – it has a crank. That one takes some work – it’s amazing what people will do for ice cream! Once the ice cream is done, we put it into a container to put into the freezer. We have found that it’s also a good idea to have your container in the freezer before making the ice cream. You don’t have to do this, but the ice cream tends to melt a bit if you don’t. When the ice cream is done, put it into the container and put it back into the freezer for an hour or so to firm up. You can eat it immediately if you want to, but the ice cream is pretty soft. After an hour or more, the ice cream firms up enough to make scoops. If you try to eat it right away, it’s is still tasty, just softer. Oh my – this stuff is ridiculous! Yes – we’re gonna need a lot of this stuff in the coming days and weeks. A lot. I highly recommend the “Ben And Jerry’s Homemade Ice Cream & Dessert Book” with its many delicious options, and I highly recommend cooling down with the Heath Bar Crunch Ice Cream – you won’t be sorry!!! 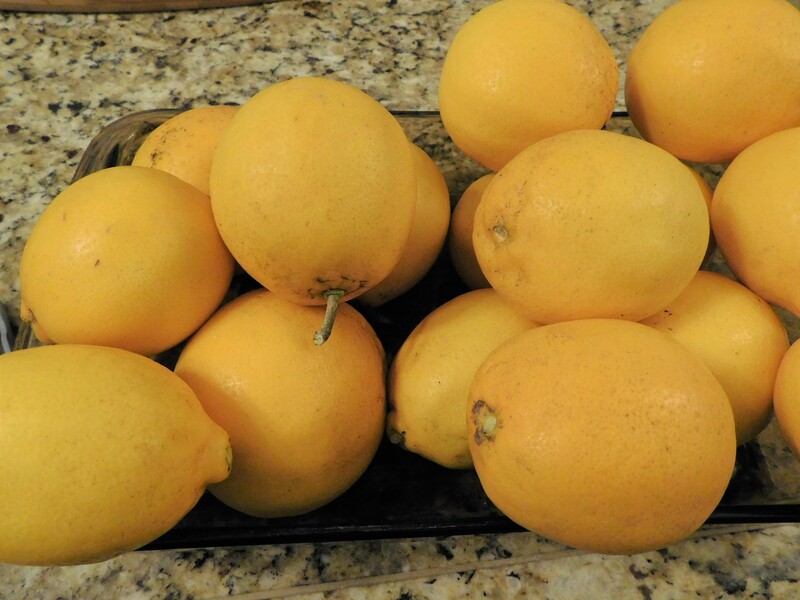 We’re still doing lemon recipes with the lemons my daughter brought from California. Let’s just continue to let the sun shine in until spring actually comes. Well, maybe not that long, but at least for one more week. I was looking through some of Grandma’s old church cookbooks recently, and found recipes where she had written notes on them. There were some she had made: some good ones and some she marked as not so good. There were even some with check marks where she had written “try this one”. Some of them even had the year she made them. I love that we have her remarks on those recipes. It’s almost like still having her here to chat about them and tell us which ones to try and which ones to let well enough alone. Which ones to change or tweak just a bit, and maybe how to make them a bit better. It makes me not miss her quite so much. I found the recipe for today in one of those old books, and even though it wasn’t in a cookbook from her church, it’s one of those great recipes you always find in those old church cookbooks. I still say everybody put their best recipes in there, so they’re always just the best ones! 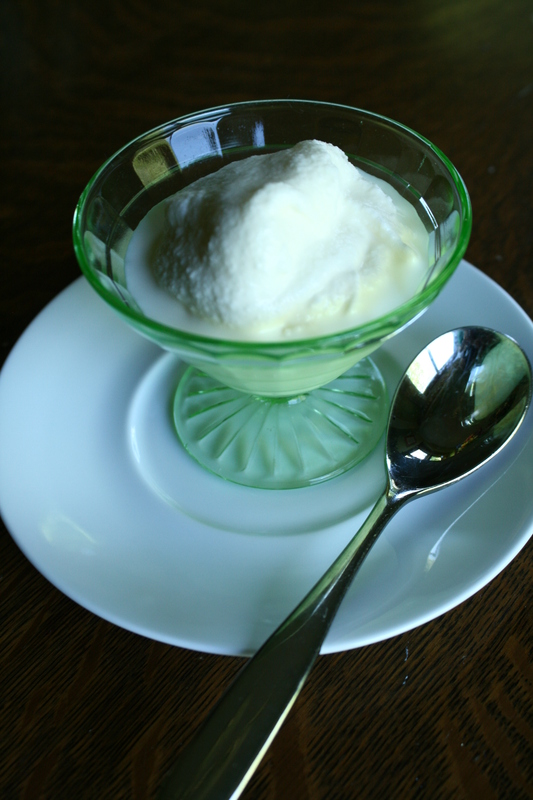 This recipe for Lemon Sherbet is no exception. Wow. Sherbet? Naw – this is more of an ice cream. The recipe says to pour into a shallow refrigerator pan. When soft in the center only, beat quickly, and refreeze. I used our ice cream maker and it took about 30 minutes to freeze. 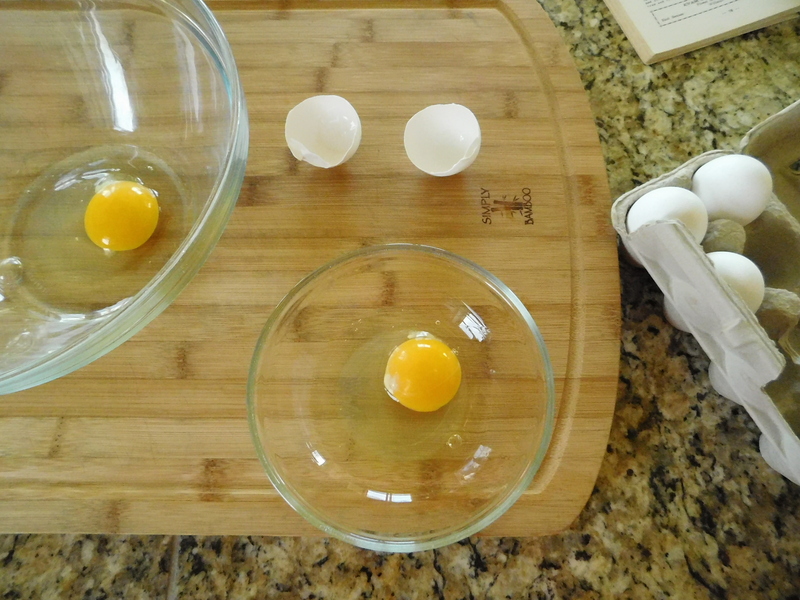 Because this recipe uses raw eggs, I recommend using the freshest eggs you can find, or use pasteurized eggs. We didn’t have a problem with the raw eggs. Make sure you beat the eggs until lemon-colored. 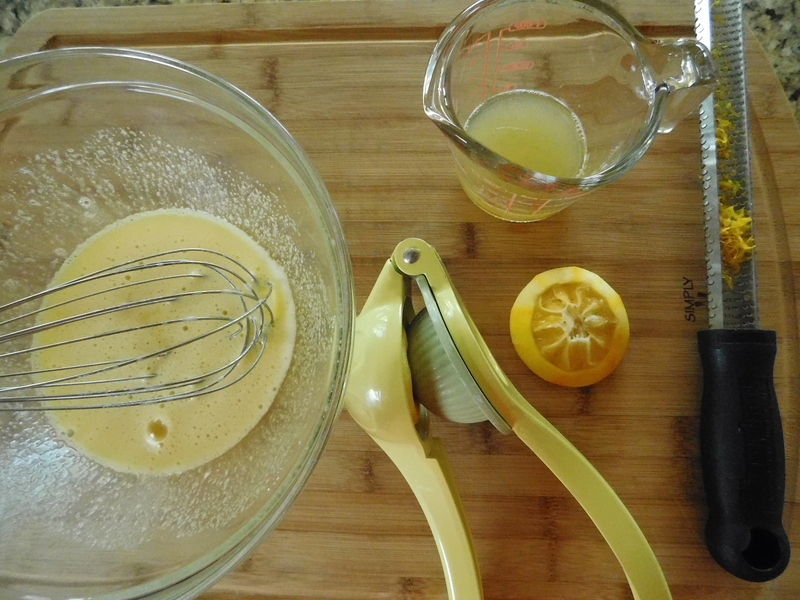 Add the sugar, and then squeeze those beautiful, bright lemons for the lemon juice. Don’t forget to take the rind off FIRST. Mix in the top milk. Haha! Now we know that this is a very old recipe. 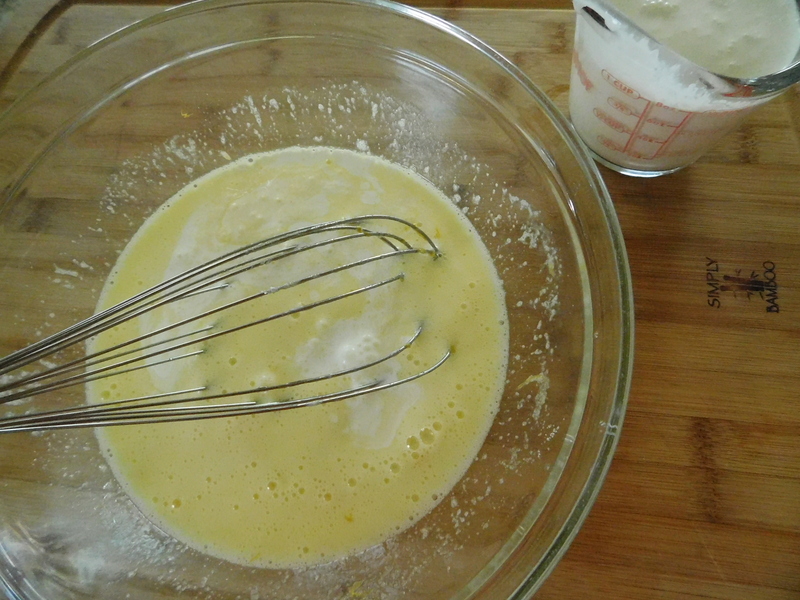 I used cream, but I’m sure you could use half-n-half or even whole milk. I put the mixture into our ice cream maker, and then I put the frozen mixture into a chilled container before putting into the freezer. Because this recipe includes corn syrup and eggs, it stayed easy to scoop, even after freezing for a few days. It didn’t get icy or crystallized at all. I wouldn’t call this sherbet. It really is ice cream. It’s so lemony and so creamy and so good and so EASY to make. 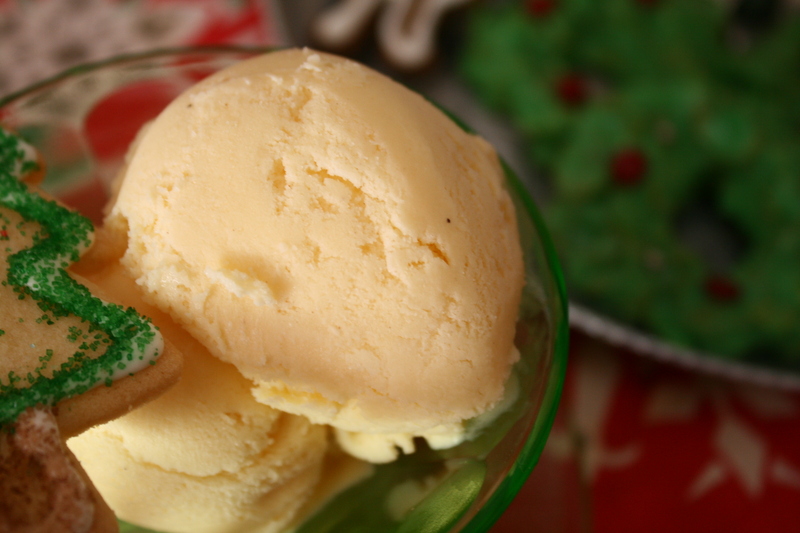 You’re not going to believe this amazingly delicious ice cream. I recommend you make this right away. Now. You won’t be sorry! 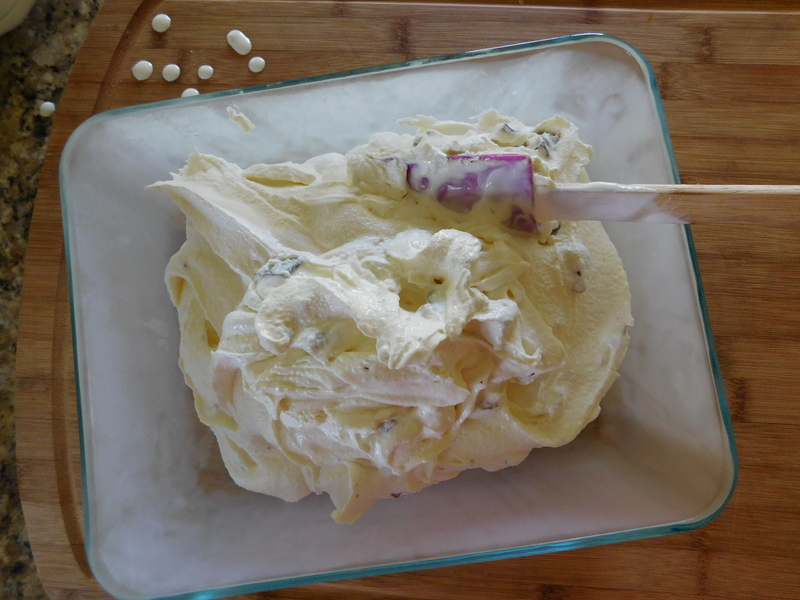 Today’s recipe is for Homemade Ice Cream. I found this recipe in my mom’s recipe box and I’m so glad I did. It’s another one that I thought was lost forever. 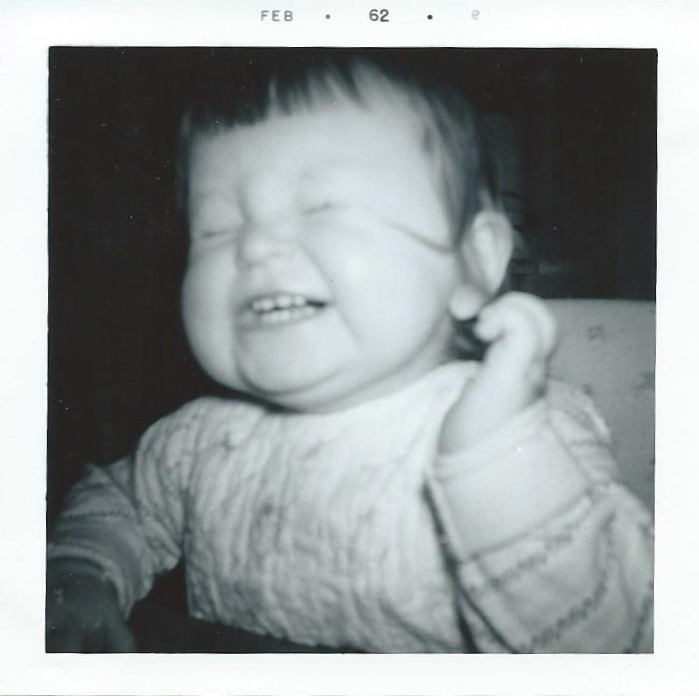 In fact, this is how I feel about finding this recipe again! Yay!!!! Grandma and Grandpa were big on celebrating and we’d have this for birthdays and some holidays. Sometimes they’d make it just because they wanted to have some, like in the summer. They had an electric ice cream maker (thankfully not a crank one) that had a wooden bucket that the container sat in. I loved to watch Grandpa make it. He’d break up ice cubes or a block of ice in an old burlap gunny sack, put the cracked ice around the outside of the container (which held the sweet and creamy future ice cream,) and then he’d add salt to make it even colder. It seemed like an eternity until you’d hear the dasher inside the container start to struggle with the ice cream getting thicker and icier. Then it would be time to dish it up. After indulging in this decadent dessert, we’d move outside to listen for the chimes from the church at 6:00 pm each night, wafting across the cornfields between the small town near them and the farm. Then it was on to a game of Jarts (lawn darts – banned for a time because of injuries caused by them) or Croquet and we’d stay outside on the lawn until the sunset turned golden or the mosquitos forced us to go in. 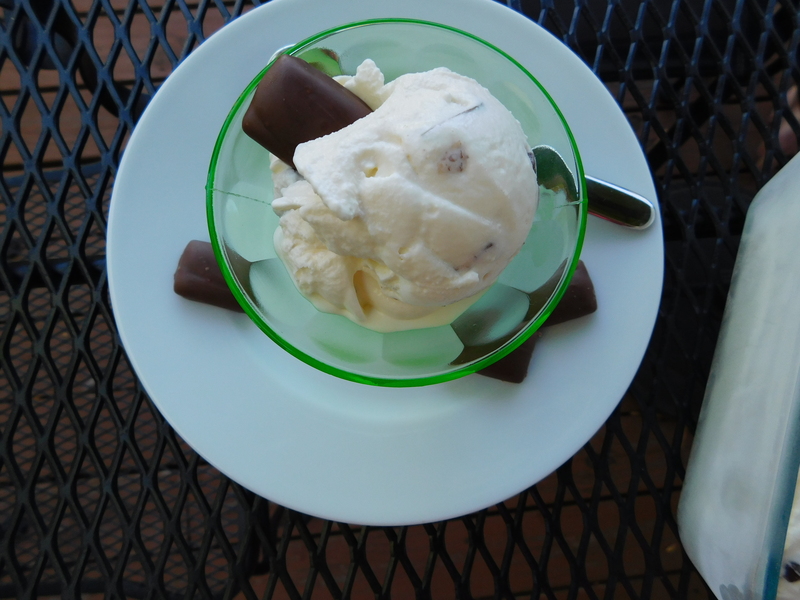 I halved this recipe – my ice cream maker doesn’t hold as much as the old ones. 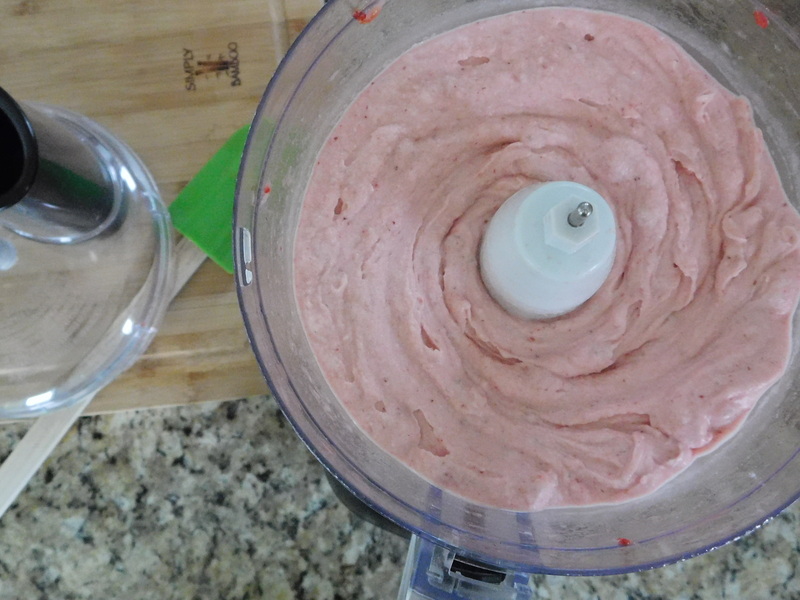 Mix well and freeze according to your ice cream maker instructions. We’ve had our ice cream maker for a few years, but you can find one similar here. There’s not much to this recipe. 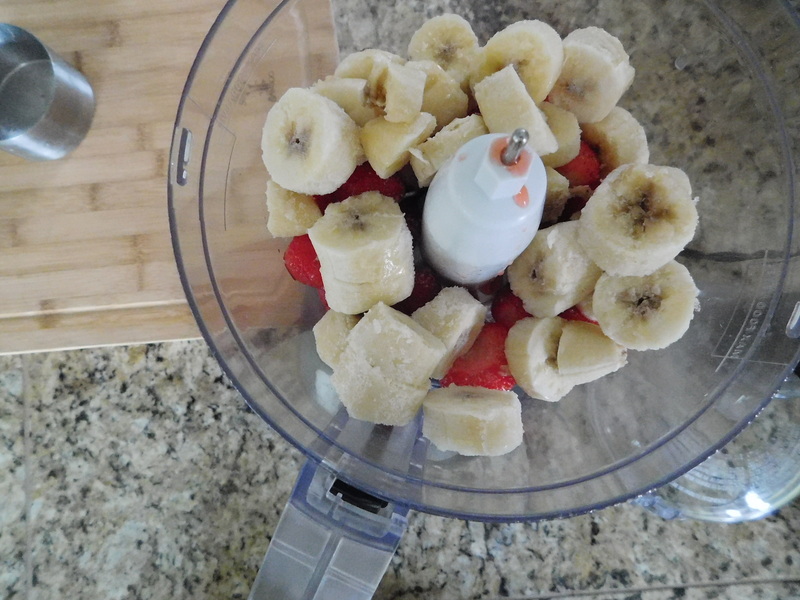 Just mix it up, pour it into the ice cream maker, and turn it on. That’s it. It’s so easy to make your own ice cream. We used to eat it right away and not let it firm up in the freezer – it was just too hard to wait! Yes – it made for a softer, sloppier ice cream. 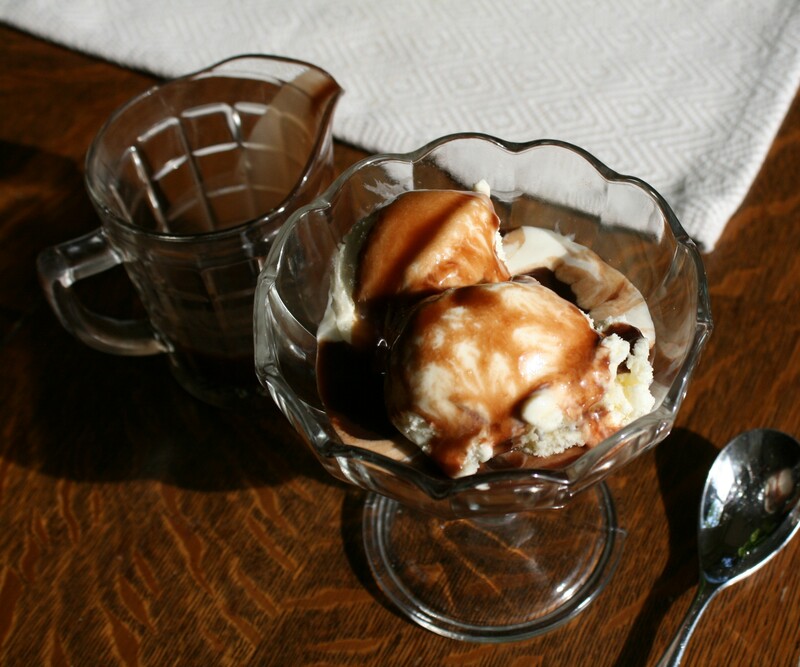 This time when I made it, I did let the ice cream firm up and then I had to try it in a root beer float. 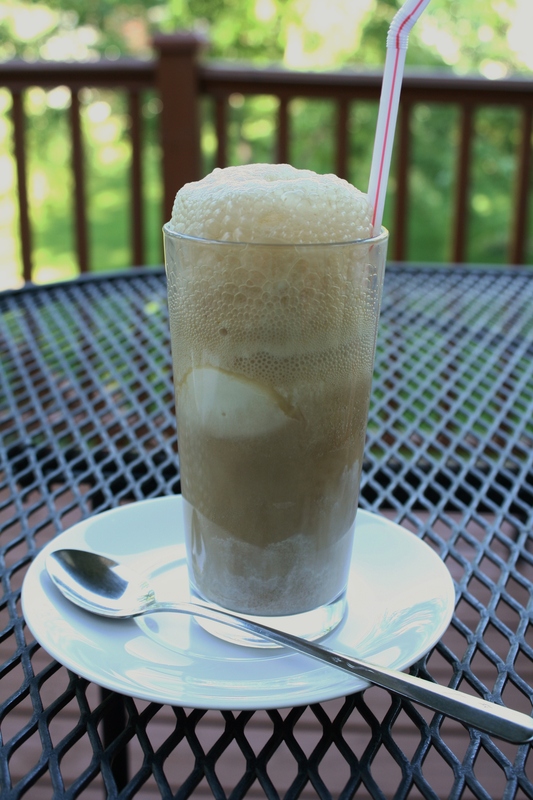 Just put two scoops of the ice cream (or however many you can pack in there) into a glass and add a can of root beer. There were a few essential summer treats we had a lot at Grandma and Grandpa’s house: root beer floats, Eskimo pies, and ice cream sandwiches. But the one we had the most was root beer floats!! 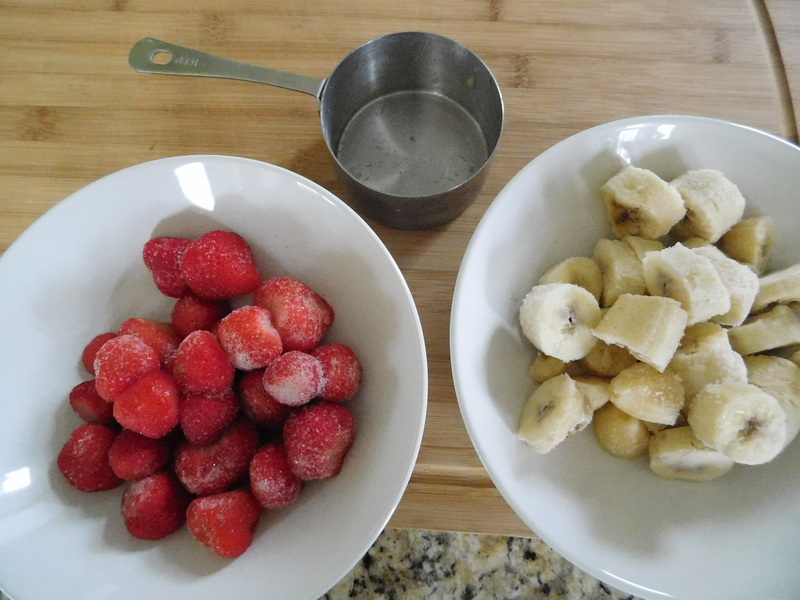 Make your own ice cream. 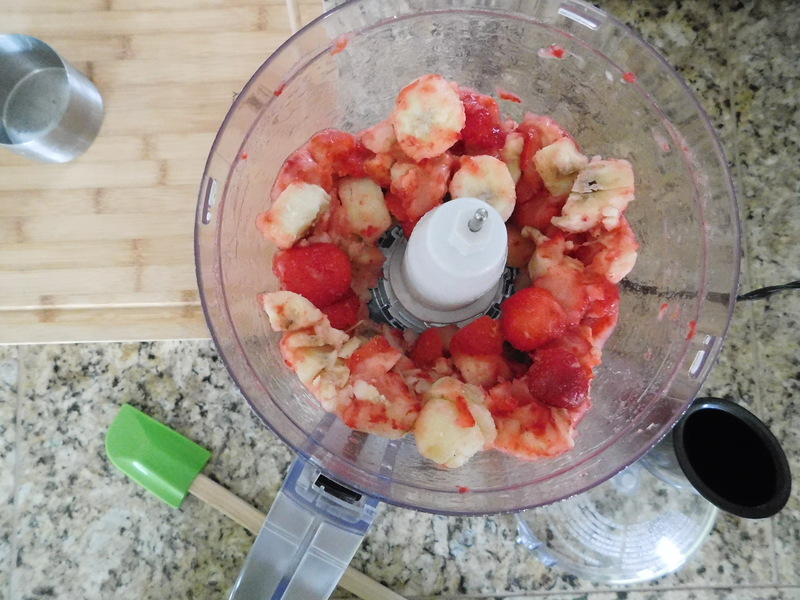 You’ll never go back to “store-bought” again! 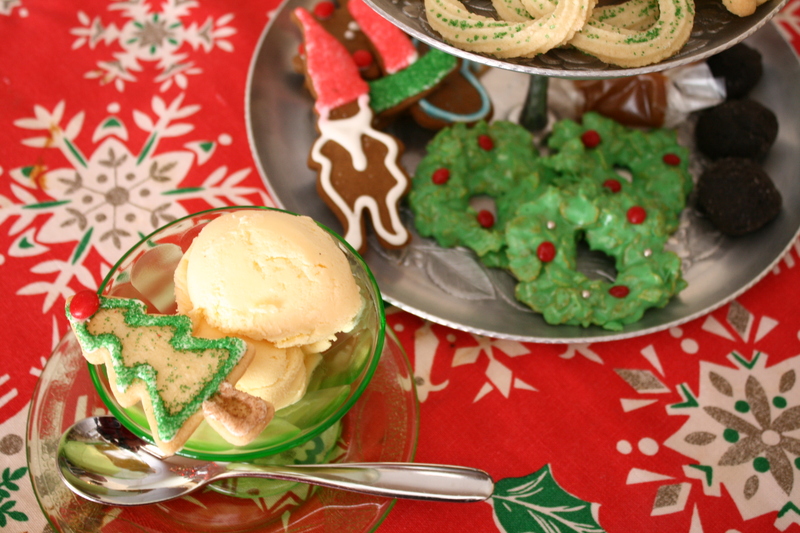 Today’s recipe is an easy last minute Egg Nog Ice Cream. One of my daughter’s heard about this idea and we thought we’d try it. 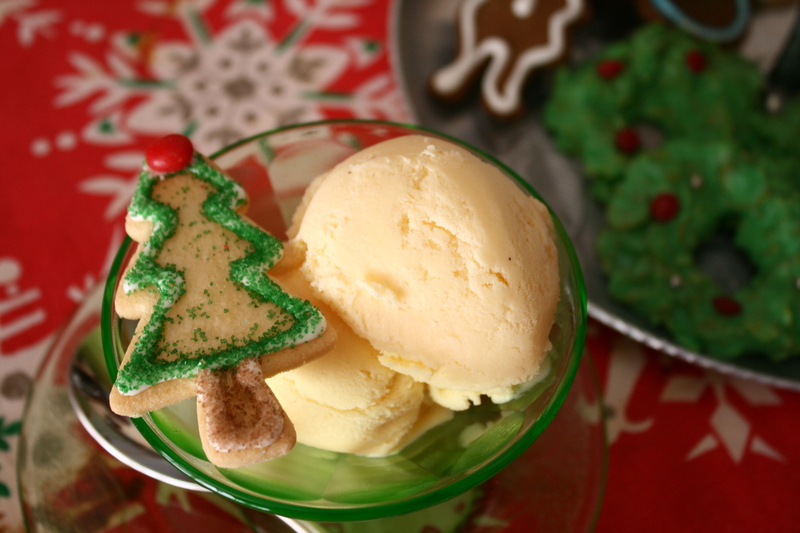 Put the egg nog in the frozen container of your ice cream maker and freeze as you would any other kind of ice cream. 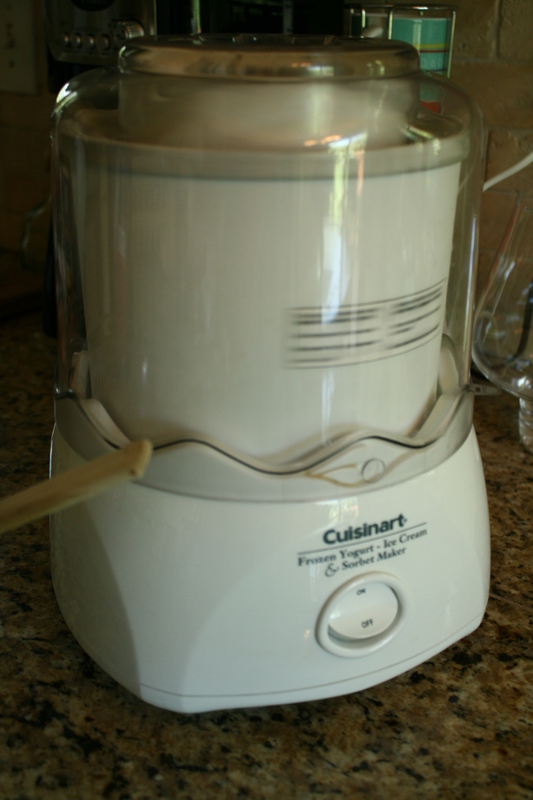 I have a Cuisinart Frozen Yogurt/Sorbet/Ice Cream maker similar to the one you can find here. Freeze for a couple of hours after initial freezing in the machine. This was so easy that we tried it even though we were going through the preparations for our Christmas Eve dinner. 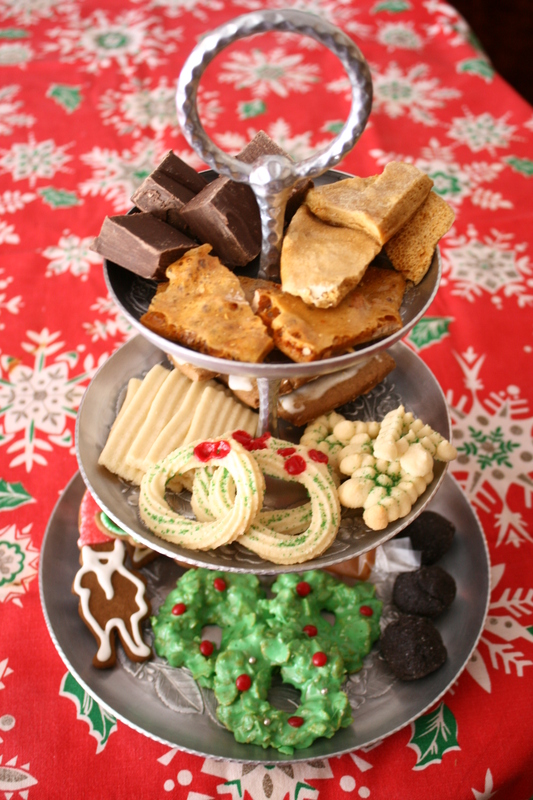 My aunt and uncle brought me this three tiered tray to display cookies on. 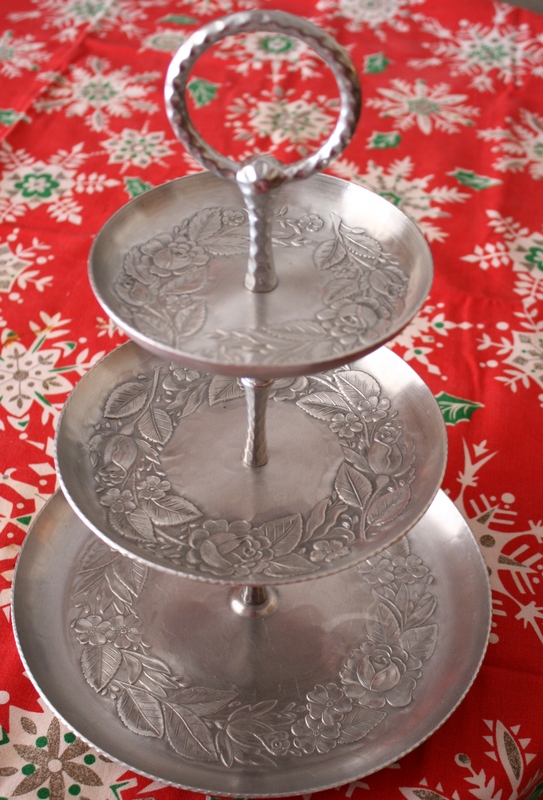 It was Grandma’s and it was always in use at family functions and holidays. You can see some of the cookies I’ve made on the blog displayed on it: Spritz Cookies, Christmas Wreath Cookies and Peanut Brittle. 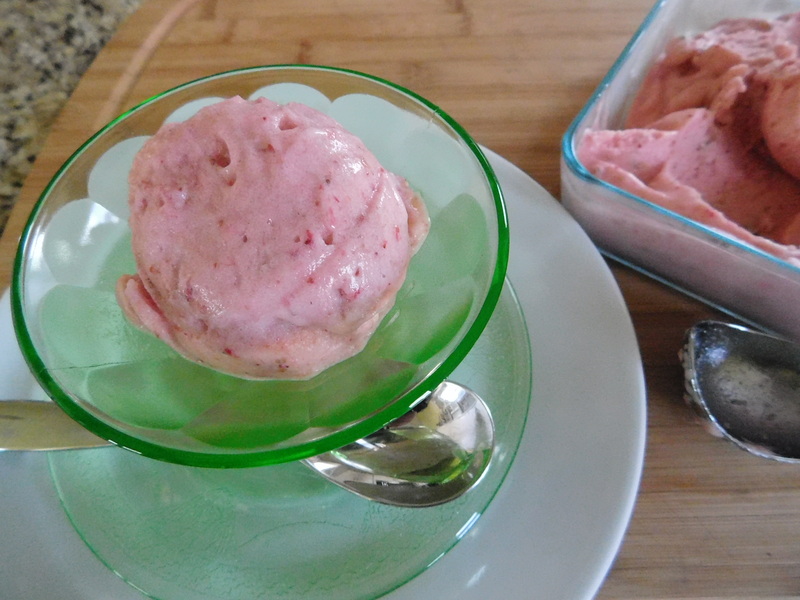 I was pleasantly surprised at how easy it was to make this ice cream. Give it a try – you’ll love it! Thanks so much for checking in and reading “Plenty Sweet Life”. These first 5 months have been a lot of fun and quite the learning experience. 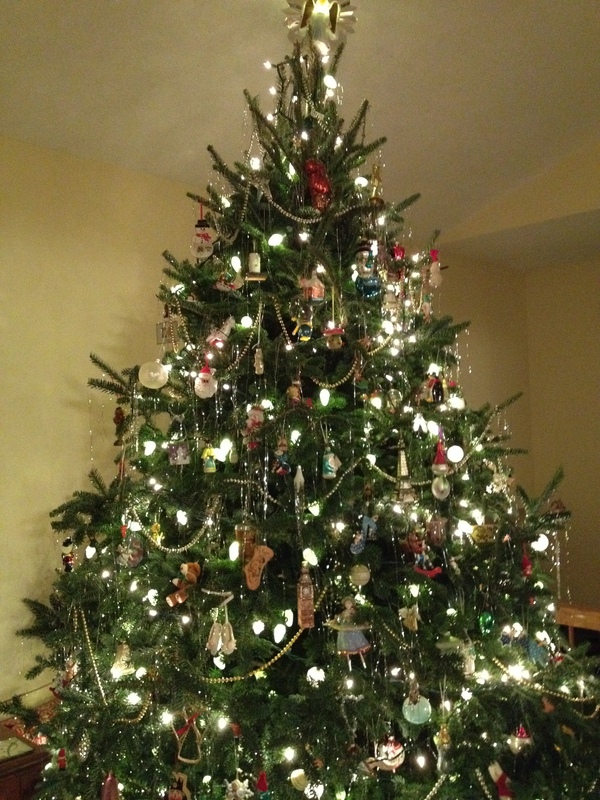 My family and I wish you the happiest of holidays and a healthy and happy New Year!